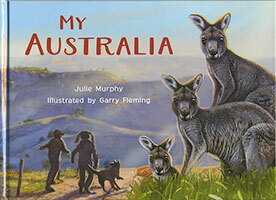 Come on a poetic journey that celebrates the beauty and diversity of Australia's landscapes. Relish the visual delights of our continent - from dry deserts to lush rainforests, high mountains to stormy seashores, and winding rivers to fertile swamplands - all the magical places that are my Australia. Nature Starts: Whose Baby Is This? Nature Starts: Whose Home Is This?